Well the local guy has been on a search for some good tasty tacos lately. I asked myself where can I find good tacos in town besides going to a traditional tex mex joint? I must say I do like the tacos at PRs and Pacos both in Winter Park, both are local, however, I found another local spot that serves up delicious tacos. STP or Sloppy Taco Palace is the name and tacos is their game. 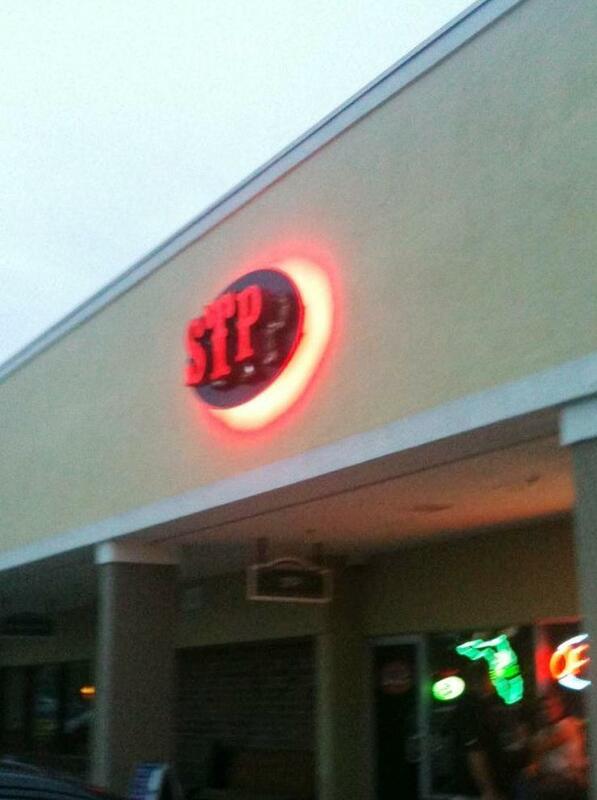 This little dive bar is located off of Kirkman Rd and Conroy in a strip shopping center. It is more of a bar than a restaurant in my opinion. It appears the place is owned by some Bostonians by seeing all the Boston Red Sox, Patriots memorabilia hanging up. STP is my opinion wears many hats and it appears their concept is working being a sports bar- restaurant, a dive bar, and a place to watch live bands perform Thur -Sat (no cover). But make no mistake about it, the kitchen is always open for business and they know how to make good tacos. 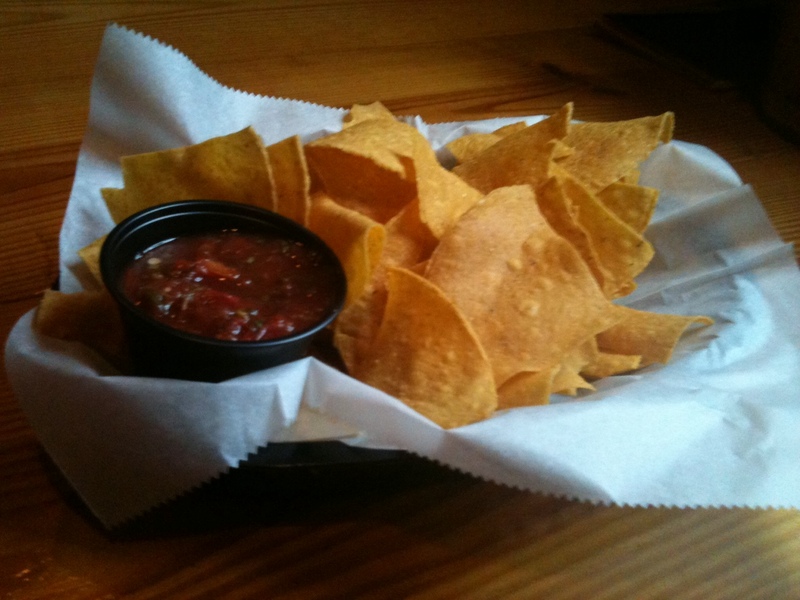 My guest and I started off with the chips with House salsa $2.50. The chips were well done and crispy and the salsa consisted of fresh tomatoes and fresh veggies, the salsa was kinda on the sweet side but good. STP also has hot salsa as well. It was your typical chips and salsa nothing fancy but good. 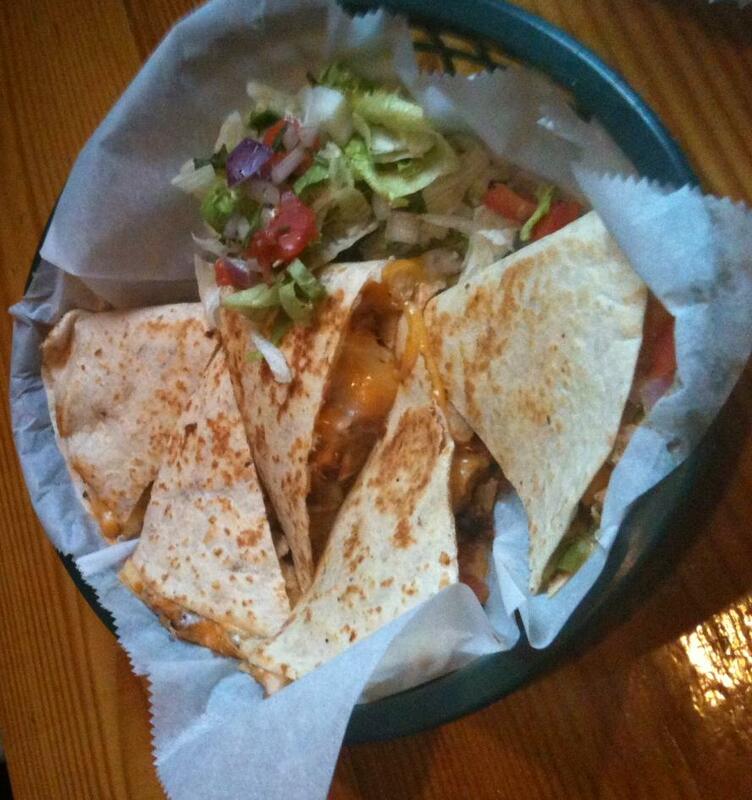 For another starter we also tried the chicken quesadilla $5.75. It was served with fresh pico and sour crème. It was served nice and hot, the chicken was tasty and tender, fresh peppers and onions with melted cheese. Arguably the best quesadilla I have had in a long time and my guest agreed. Clearly, the main attraction here is their ” Sloppy Tacos”. It’s not called Sloppy Taco Palace for the heck of it. I ordered the ground beef Sloppy Tacos $3.50. Their Sloppy Tacos are dripping with coarsely chopped pico de gallo and drenched with chile con queso in a fried flour tortilla shell. The meat choices are ground beef, steak, pork or chicken. All are sloppy, moist, and tasty. They all hit the spot after a long day of doing whatever you’re doing. I also tried a regular steak taco $2.50 hard shell. It was loaded up with lettuce, tomatoes, and cheese, and steak. I thought the steak was a little on the salty side. Stick with the Sloppy Tacos, they are to die for. And yes they are a little sloppy but that’s what napkins are for. 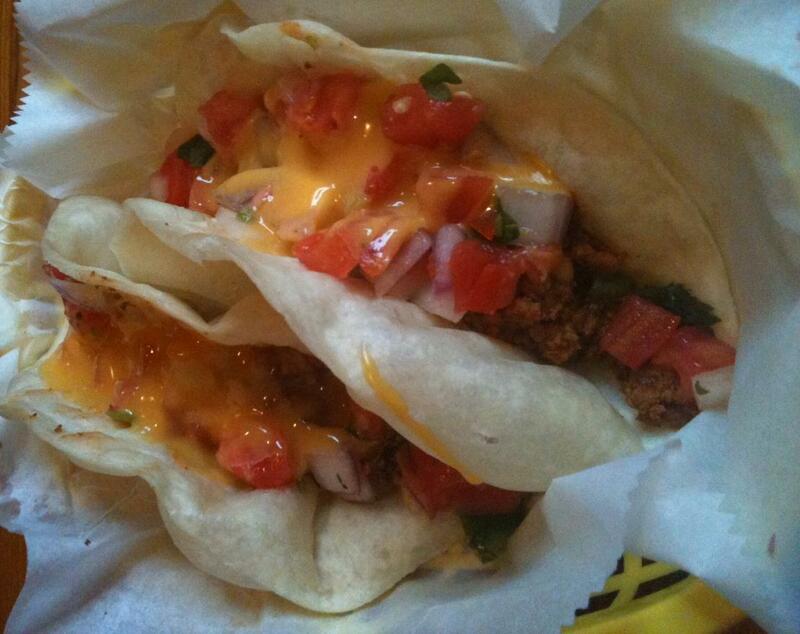 On another note, according to their website, STP has buck fiddy ($1.50) tacos til close on Wednesdays. That is a food steal, guys. That is almost taco bell prices but STP is no Taco Bell. We were there on a Saturday evening right before 7. The bartender was tending bar and also all the tables outside the bar. There is only about 12-15 tables in the place, some our high tops as well. Anyway, he was doing a good job for a one man show, help arrived at 7. One person. The place is small so it does not take a lot to support but a couple of more hands or bodies would of done wonders for the service. Regardless, I would still go back, the Sloppy Tacos are really amazing. If you want to go to a dive bar that has good cold beer and decent priced drinks and wonderful Sloppy Tacos you can’t go wrong with STP folks. STP is open Monday – Friday @ 11.30am for lunch- til close (per the website). Friday and Saturday STP is opened til 2am.